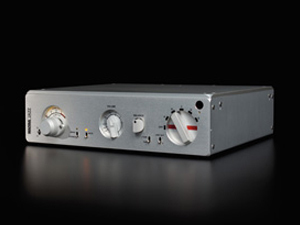 Letâ€™s face it, itâ€™s a Nagra, itâ€™s got valves in it and itâ€™s called â€˜Jazzâ€™â€¦.. it has to be one of the best preamps in the audio world. Classic Nagra styling with a twist â€“ the sockets are on the back ! Full function remote control and an external PSU make this a real 21st Century Nagra. Itâ€™s gorgeous, itâ€™s Swiss, itâ€™s expensive and itâ€™s as musical as the festival itâ€™s named in honour of.